An interfaith minister, spiritual activist, Reiki Master, and Yoga instructor, Terri has been working in the healing arts for over 15 years. Her journey began while working with crystals and stones as a jewelry maker and artist. Terri’s yoga practice began with meditation and chanting later realizing this too is a part of the Eight Limbs of Yoga. Her instruction in Asana (postures) began in 2004 at Gail Grossman’s Om Sweet Om studio in New York with the many awesome yoga teachers she encountered there. She especially loved the Ashtanga and even more so the restorative classes. Working with her instructors, she began to offer Reiki energy to their students as they rested in restorative poses. 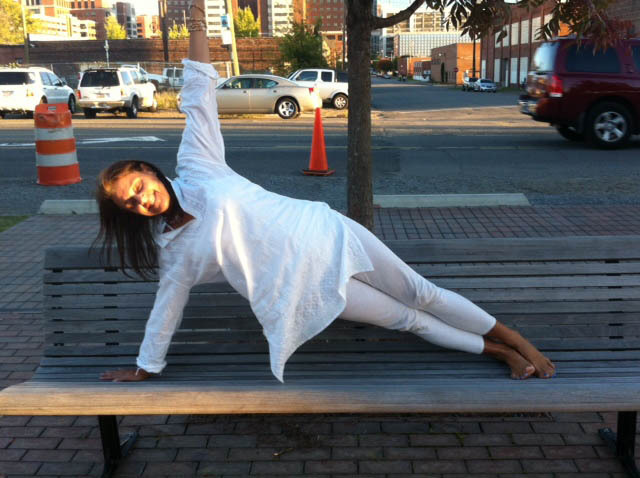 A Birmingham native, Terri returned in 2011 and enrolled in the Teacher Training program at Birmingham Yoga. She became a registered yoga teacher in 2012 under the instruction of Akasha Ellis. Her love of Ashtanga and restorative yoga has not waned but she has found a new dedication in the practice of Kundalini Yoga. Today Terri maintains a private practice, coaching individuals along the spiritual path and incorporating various modalities of energy medicine. As an educator, she teaches what she practices to all audiences. Terri leads groups in sacred circles, connecting with Mother Earth and the higher dimensions, for the advancement of all mankind. She is available for Reiki programs, workshops, teaching, ceremonies, and private sessions at her Natural Forces Studio, located inside Birmingham Yoga center.